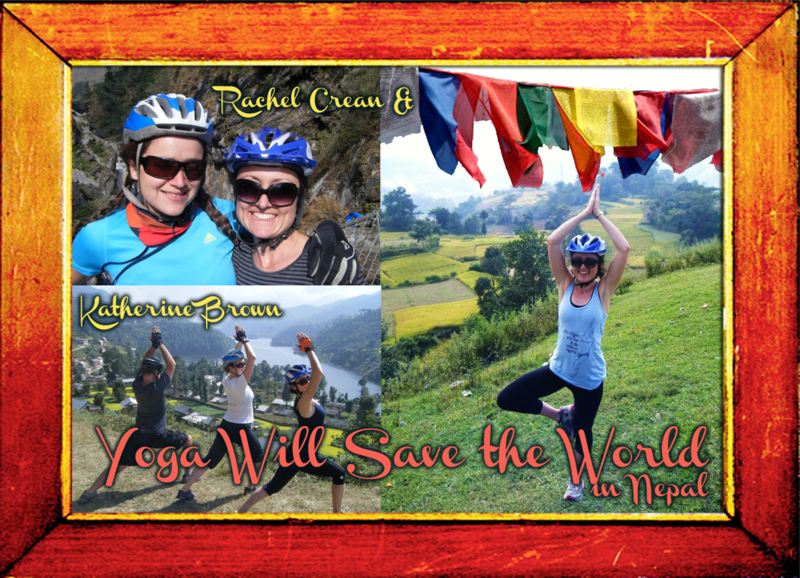 My friends and Wonder Women Kat Brown and Rachel Crean in Nepal. They have just finished a 2 week bike ride in the Nepalese mountains. They now have thighs and buns of steel and have heard many prayer flags flutter dreams across the skies as they slept at night. Of course they whipped out some mountain top yoga poses and Miss Crean did her best to wear her Yoga Will Save the World top in every single photo.